This is one of these dishes that I rarely prepare but when I do it is always very popular and there is never any leftovers. This dish is made for a big crowd so if there is only a few people in your party, this is not a dish that you should serve. 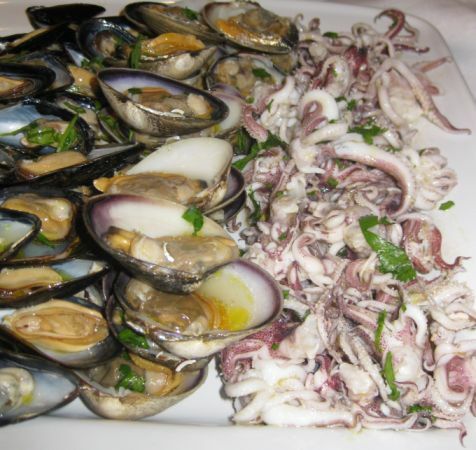 This dish required at least 4 different type of seafood like shrimps, clams, mussels, squid and sometimes octopus and you can not just buy a few of each type so by the time you combined the 4 different type of seafood, the dish swell up to a huge seafood platter. 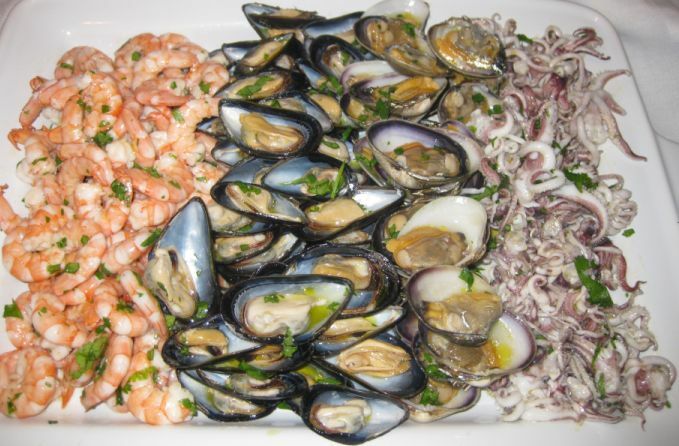 This is a really gorgeous seafood platter but the reason people like this dish is because the freshness of the seafood combined with the finest olive oil, lots of lemon juice, a few sprinkles of sea salt and parley. Even tough the ingredients are simple, but once it is combined with seafood, the lemon juice brings out this incredible freshness and the olive oil just enhance the flavor another notch. It is actually a wonderful dish to start a meal. 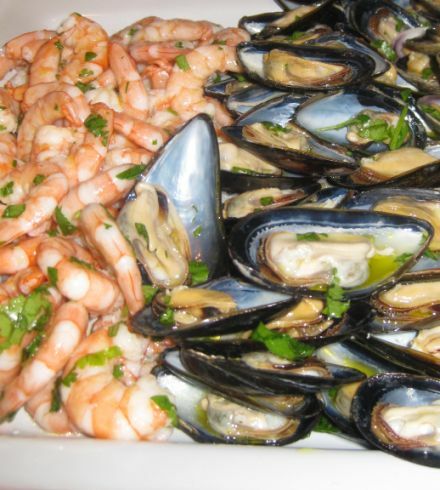 Close up look at the seafood platter. 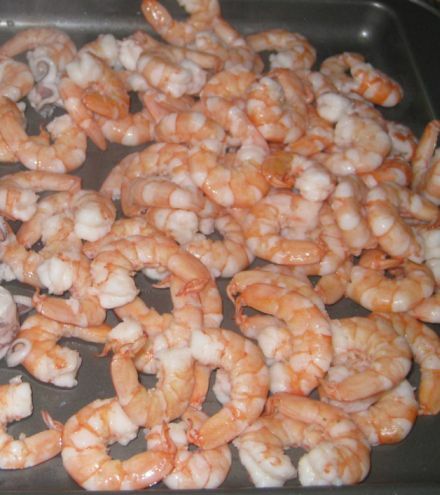 Basically all the seafood are boiled in huge pot of water over a very short period of time, 1 to 2 minutes at most. 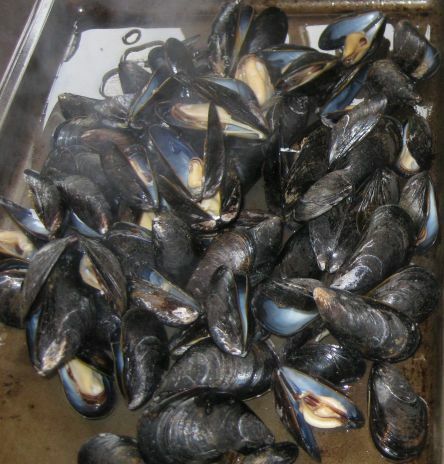 Same the mussels are boiled and put on a tray. 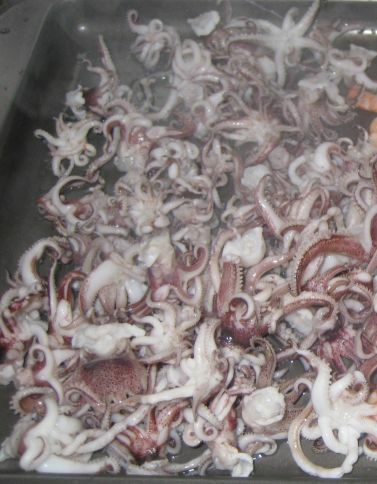 Squid tentacles takes about a minute to be cooked. 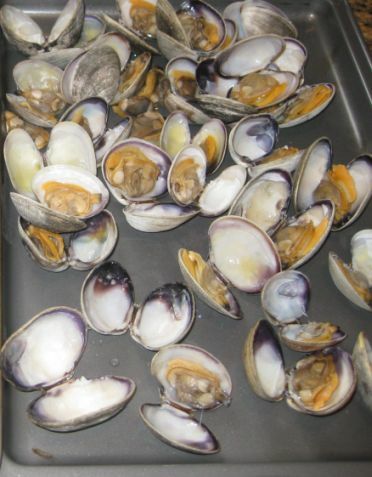 Once all the seafood are cooked, I just let them cool off and then I will refrigerate them separately for about a few hours. 30 minutes before serving I pour the lemon juice, olive oil, chopped parsley and a bit of sea salt on the seafood and let it rest until ready to serve.